Lithium batteries are what allow electric vehicles to travel several hundred miles on one charge. Their capacity for energy storage is well known, but so is their tendency to occasionally catch on fire—an occurrence known to battery researchers as “thermal runaway.” These fires occur most frequently when the batteries overheat or cycle rapidly. With more and more electric vehicles on the road each year, battery technology needs to adapt to reduce the likelihood of these dangerous and catastrophic fires. Researchers from the University of Illinois at Chicago College of Engineering report that graphene—wonder material of the 21st century—may take the oxygen out of lithium battery fires. They report their findings in the journal Advanced Functional Materials. The reasons lithium batteries catch fire include rapid cycling or charging and discharging, and high temperatures in the battery. These conditions can cause the cathode inside the battery—which in the case of most lithium batteries is a lithium-containing oxide, usually lithium cobalt oxide—to decompose and release oxygen. If the oxygen combines with other flammable products given off through decomposition of the electrolyte under high enough heat, spontaneous combustion can occur. “We thought that if there was a way to prevent the oxygen from leaving the cathode and mixing with other flammable products in the battery, we could reduce the chances of a fire occurring,” said Reza Shahbazian-Yassar, associate professor of mechanical and industrial engineering in the UIC College of Engineering and corresponding author of the paper. It turns out that a material Shahbazian-Yassar is very familiar with provided a perfect solution to this problem. That material is graphene—a super-thin layer of carbon atoms with unique properties. Shahbazian-Yassar and his colleagues previously had used graphene to help modulate lithium buildup on electrodes in lithium metal batteries. Lithium cobalt oxide particles coated in graphene. Credit: Reza Shahbazian-Yassar. Shahbazian-Yassar and his colleagues knew that graphene sheets are impermeable to oxygen atoms. Graphene is also strong, flexible and can be made to be electrically conductive. Shahbazian-Yassar and Soroosh Sharifi-Asl, a graduate student in mechanical and industrial engineering at UIC and lead author of the paper, thought that if they wrapped very small particles of the lithium cobalt oxide cathode of a lithium battery in graphene, it might prevent oxygen from escaping. First, the researchers chemically altered the graphene to make it electrically conductive. Next, they wrapped the tiny particles of lithium cobalt oxide cathode electrode in the conductive graphene. When they looked at the graphene-wrapped lithium cobalt oxide particles using electron microscopy, they saw that the release of oxygen under high heat was reduced significantly compared with unwrapped particles. Next, they bound together the wrapped particles with a binding material to form a usable cathode, and incorporated it into a lithium metal battery. When they measured released oxygen during battery cycling, they saw almost no oxygen escaping from cathodes even at very high voltages. The lithium metal battery continued to perform well even after 200 cycles. “The wrapped cathode battery lost only about 14% of its capacity after rapid cycling compared to a conventional lithium metal battery where performance was down about 45% under the same conditions,” Sharifi-Asl said. There has long been a debate about Apple’s secretive automotive project being only about a self-driving system for vehicles rather than a full electric autonomous vehicle. It now looks clear that the latter is the case as Apple hires Tesla’s head of electric powertrains. Earlier this month, we reported on Tesla losing its VP of Engineering behind its latest electric powertrains; Michael Schwekutsch. We described his departure from Tesla as a big loss for the company since he is amongst the most experienced engineers who have brought electric powertrain programs to market, not just at Tesla, but in the industry as a whole. “Michael Schwekutsch joined Tesla last year to lead powertrain developments after a two-decade long career working for legendary third-party powertrain engineering firms like BorgWarner and GKN Driveline. More recently, he managed programs for the electric and hybrid powertrains of the BMW i8, Porsche 918 Spyder, Fiat 500eV, Volvo XC90, among other popular vehicles. Now Electrek learns from separate sources that he joined Apple’s Special Project Group, which includes the Cupertino company’s Project Titan division. He is the latest of several top Tesla engineers to join the project, which was for a time thought to only consist of a self-driving system for vehicles after a scale-back of the plan. Now that Schwekutsch, who has exclusively worked on electric powertrains over the last decade, has joined Apple, it is becoming clear that the company plans to bring a complete electric vehicle to market. Schwekutsch will join back Doug Field, who was a longtime engineering executive at Tesla before going back to Apple to lead their car project last year alongside Bob Mansfield, who Apple brought out of retirement in 2016 to lead its Project Titan car team. Electrek has learned that Apple is also hiring several other former Tesla employees in what appears to be another wave of the poaching war between the two companies. More recently, however, Apple has hired some longtime executives and engineers that don’t appear to have been let go by Tesla. That said, the company has laid off many employees over the last year and some of them did go to Apple, which has experienced employment cut-backs of its own. Schwekutsch comes to the program after some layoffs within the team confirmed last month. This is quite significant. Apple producing an electric vehicle from the ground up is a big deal. Granted, they have no experience building vehicles, but they are hiring some top talent that made happened against all odds in the past, like Field and Schwekutsch. If you add to that the hundreds of billions in capital and the incredible software and hardware expertise of Apple, I think you have a winning solution. I don’t want to get my hopes up to much, but I am excited for them to disrupt the space even more. I can see it accelerate the adoption of electric vehicles. What Might Our “Electrified Future” Look Like? The panel, moderated by CARS Executive Director Stephen Zoepf, features companies that seek to catalyze electrification of transport, each focused on a different sector of the market. From an all-electric chassis to electric mobility services at scale to fast & portable electric chargers to electric, highly-utilized AVs, this Energy Seminar will highlight the cutting edge in electric mobility. 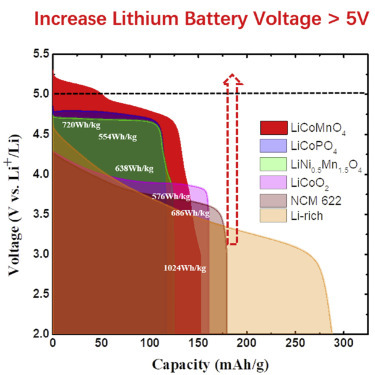 U of Maryland: Wang Group Develops Highly Reversible 5.3 V Battery ~ 720Wh/kg for 1k cycles ~ With graphite and Li-metal anodes ~ Game Changer? Over the last several years, increasing the energy density of batteries has been a top priority in battery technology development, congruent with increasing demands for faster mobile devices and longer-lasting electrIc vehicles. The energy density of lithium-ion batteries can be enhanced by either increasing the capacity of electrodes, or by enhancing the cell voltage (V). Extensive research has been devoted to exploring the pairing of various materials in the search for the most efficient cathode/anode mix, but until now, only limited advances have been achieved due to the narrow electrochemical stability window of traditional electrolyte. Researchers at the University of Maryland (UMD) led by Chunsheng Wang – a professor with joint appointments in the Departments of Chemical & Biomolecular Engineering (ChBE), and Chemistry & Biochemistry – have developed a highly reversible 5.3 V battery offering a Mn3+-free LiCoMnO4 cathode, and graphite and Li-metal anodes. A specially designed electrolyte was also created, which is stable to 5.5V for both the LiCoMnO4 cathode and (graphite and Li-metal) anodes. This resulted in a 5.3V Li-metal cell, delivering a high energy density of 720Wh/kg for 1k cycles. What’s more, this battery chemistry boasts a Coulombic efficiency of >99%, offering new development opportunity for high-voltage and energy Li-ion batteries. Long Chen – a ChBE post-doctoral research associate – and Xiulin Fan– a ChBE assistant research scientist – served as first authors on the corresponding research paper, published in Chem on February 28, 2019. “We are pleased to announce that we have created a stable 5.3V battery,” said Long Chen. Said Wang, “The high voltage electrolytes enable us to use high voltage cathode and high capacity Si- and potential Li-metal anodes, which will significantly increase the cell energy density. Everybody Wants EV Charging Stations ~ Almost Nobody Wants to Build Them – Why? A driver planning to make the trek from Denver to Salt Lake City can look forward to an eight-hour trip across some of the most beautiful parts of the country, long stretches with nary a town in sight. The fastest route would take her along I-80 through southern Wyoming. For 300 miles between Laramie and Evanston, she would see, according to a rough estimate, no fewer than 40 gas stations where she could fuel up her car. But if she were driving an electric vehicle, she would see just four charging stations where she could recharge her battery. The same holds true across the country. Gas stations outnumber public charging stations by around seven to one. It’s no wonder people get so nervous about driving an electric car. Numerous studies have shown that consumers steer clear of EVs because they worry about the lack of charging stations. Studies also show that consumers are more likely to buy an electric car when they see stations around town. While fears about range anxiety are largely unfounded — even the cheapest EVs sport enough range to serve nearly all of a driver’s needs — the paucity of charging stations is a real concern on longer trips, and it is deterring consumers from going all-electric. To be clear, it’s not just consumers who want to see more chargers. Charging stations are a boon to automakers, who want to sell electric cars, as well as to power utilities, who want to sell more electricity. Some utilities and automakers are investing huge sums into setting up charging stations — including Volkswagen’s commitment to spend $2 billion on EV charging infrastructure as part of their settlement over the diesel emissions scandal. But by and large, automakers and power companies are not putting a lot of money towards charging infrastructure. Power utilities have a big interest in EVs. Despite continued economic growth, demand for electricity has stayed flat over the last decade, as businesses slash energy use and consumers switch to more power-thrifty appliances — LED light bulbs, flat-screen TVs, high-efficiency washers and dryers. EVs could drive up the demand for electricity, throwing a lifeline to power utilities. And yet, these companies largely aren’t building charging stations. “For power utilities, the question is whether they see it as something that’s actually in their bailiwick or not,” Sifuentes said. Policymakers have not directed utilities to build out EV infrastructure, and with so few electric cars on the road, utilities are unlikely to take it upon themselves to start building charging stations. Private firms like EvBox and ChargePoint are looking to radically expand the number of available charging stations, but these plans depend on exponential growth in the sale of EVs. 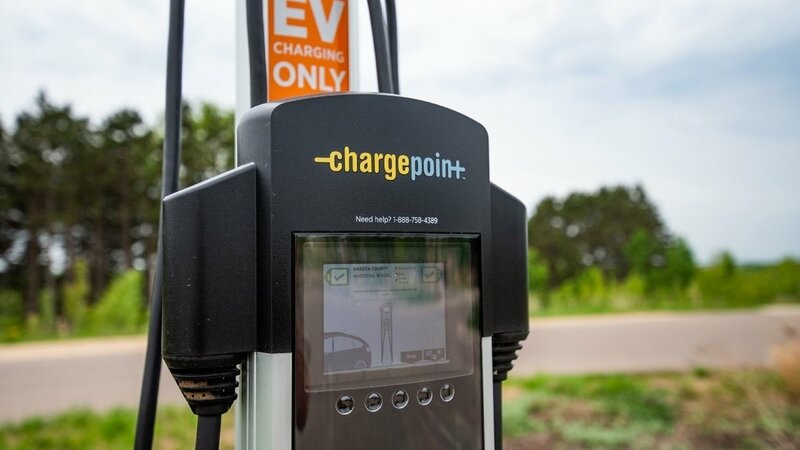 ChargePoint is looking to add 2.5 million charging stations to its global network of just 50,000, a goal it said is based on a “conservative view” of future EV sales. EvBox, meanwhile, is aiming for 1 million new charging stations. A spokesperson noted this target is “at least partly dependent on the number of electric vehicles on the road,” though he was similarly bullish on the growth of EVs. Analysts expect EV sales to increasedramatically in the coming years, though major roadblocks stand in the way of future adoption. Even if EV sales take off and charging stations proliferate, barriers will remain. Making EVs more viable means installing not just more chargers, but more fast chargers that allow drivers to take long journeys. The difference between a fast charger and a slow charger is the difference between a family stopping for coffee while they refuel their car and a family stopping overnight. A Chargepoint electric vehicle charging station. “charging stations are going to need to have two or three different types of plugs, and people will need to be able to charge at different speeds because their car might not have a supercharger,” Sifuentes said. Different types of EV plugs. In addition to building public charging infrastructure, governments can also encourage the development of private charging infrastructure. Policymakers in Iowa and Austin, Texas, for example, are working to lower barriers to setting up charging stations, allowing private firms, as opposed to power utilities, to resell electricity. “I think the other role that policymakers have to play here is they have to actually put in place laws and incentives that encourage the development of the necessary infrastructure,” Sifuentes said. In Norway, where EVs account for around a third of all new car sales, the government has gone a step further. The government is installing a fast charging station every 30 miles on main roads. EV drivers can get free charging at public stations in addition to free parking and free access to toll roads. Sifuentes said these kinds of policies are needed to spur the growth of EVs and support the installation of EV charging stations. Volkswagen announced today its intention to accelerate its electrification effort as part of its decarbonization plan by adding 20 more “electric models” to its planned lineup in order to produce 22 million electric vehicles in the next 10 years.Those 22 million vehicles will now consist of 70 different models released across Volkswagen’s multiple brands. I know VW gets a lot of flak for always talking about its ambitious electric vehicle plans instead of delivering them, but they are coming people. It’s easy to say that, but they are coming. It’s just that these big legacy automakers move slow. What is important is that in the case of VW, we have seen them make a significant investment to convert gasoline and diesel vehicle production capacity to electric vehicle production capacity. Now the vehicles are slowly starting to come this year. These vehicles are all at various stages of production and development, but they have all been greenlighted for volume production. That said, it won’t be an easy transition for Volkswagen. They have already run into a lot of troubles delivering the e-tron. It will be interesting to see how they handle those next few years. Visualizing the World’s EV Markets – Who is the World’s Undisputed Leader in EV Adoption? It took five years to sell the first million electric cars. In 2018, it took only six months. 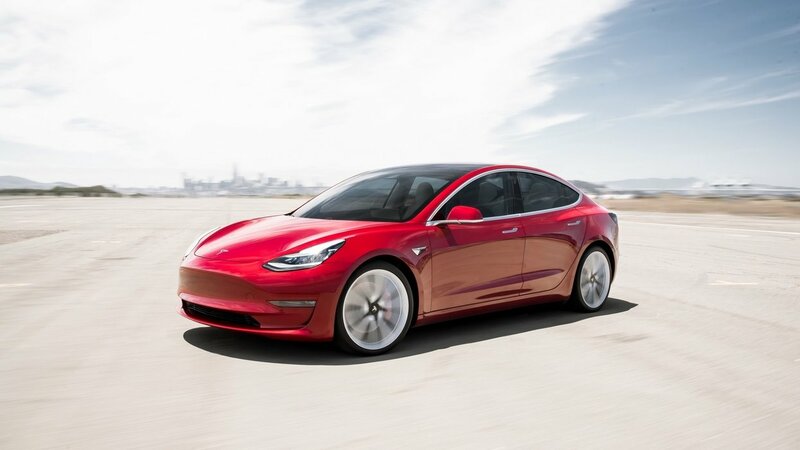 The Tesla Model 3 also passed a significant milestone in 2018, becoming the first electric vehicle (EV) to crack the 100,000 sales mark in a single year. The Nissan LEAF and BAIC EC-Series are both likely to surpass the 100,000 this year as well. Although the electric vehicle market didn’t grow as fast as some experts initially projected, it appears that EV sales are finally hitting their stride around the world. Below are the countries where electric vehicles are a biggest part of the sales mix. Norway, after amassing a fortune through oil and gas extraction, made the conscious decision to create incentives for its citizens to purchase electric vehicles. As a result, the country is the undisputed leader in EV adoption. In 2018, a one-third of all passenger vehicles were fully electric, and that percentage is only expected to increase in the near future. The Norwegian government has even set the ambitious target of requiring all new cars to be zero-emission by 2025. One large economy that is embracing plug-in vehicles is China. The country leads the world in electric vehicle sales, with over a million new vehicles hitting the roads in 2018. Last year, more EVs were sold in Shenzhen and Shanghai than any country in the world, with the exception of the United States. China also leads the world in another important metric – charging stations. Not only does China have the highest volume of chargers, many of them allow drivers to charge up faster. In the United States, electric vehicle sales are rising, but they still tend to be highly concentrated in specific areas. In around half of states, EVs account for fewer than 1% of vehicle sales. On the other hand, California is approaching the 10% mark, a significant milestone for the most populous state. Nationally, EV sales increasedthroughout 2018, with December registering nearly double the sales volume of the same month in 2017. Part of this surge in sales is driven by the Tesla’s Model 3, which led the market in the last quarter of 2018. North of the border, in Canada, the situation is similar. EV sales are increasing, but not fast enough to meet targets set by the government. Canada aimed to have half a million EVs on the road by 2018, but missed that target by around 400,000 vehicles. The big question now is whether the recent surge in sales is a temporary trend driven by government subsidies and showmanship of Elon Musk, or whether EVs are now becoming a mainstream option for drivers around the world. A massive cargo ship docked in the Chilean port of San Antonio at the end of November, carrying it its belly the first 100 electric buses from China that Chileans hope will revolutionize their public transport system. Chile’s ambitious plan to face down its capital Santiago’s notorious smog problem includes the rollout of electric scooters, cars and taxis, as well as lorries for use in the mining industry. Mineral-rich Chile – which is not only the world’s largest copper producer but also the second-largest producer of lithium, a key component in electric vehicle batteries – aims to increase the number of electric vehicles tenfold by 2022. Energy minister Susana Jiménez told Reuters the government wanted electric vehicles to account for 40 per cent of Chile’s private fleet and 100 per cent of public transportation on the roads by 2050. The initiative puts Chile at the forefront of clean mobility in Latin America as well as among developing countries worldwide. But it represents a significant challenge given the persistently high price of electric vehicles and the paucity of charging points in the country. 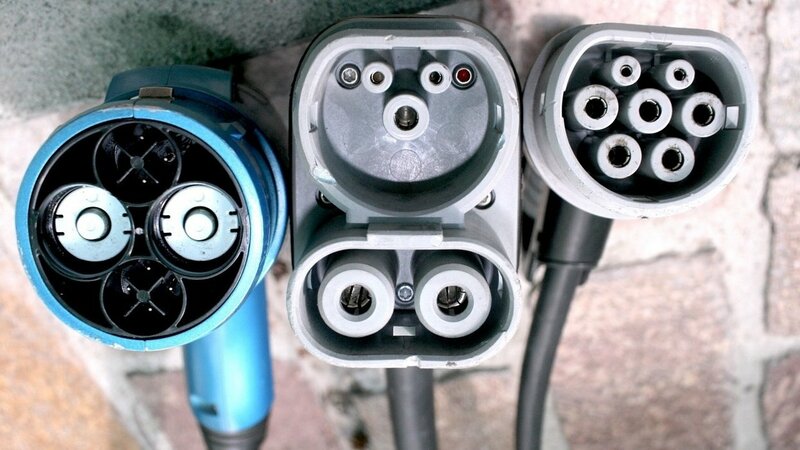 Chile has just 40 public charging stations – half of them in Santiago, according to the energy ministry. Enthusiasts of the new technology prefer to focus on the pluses of clean motoring, such as the reduction in noise and air pollution as well as lower fuel costs. The operation and maintenance costs of an electric bus are also around 70 per cent less than those of a diesel engine, according to Chile’s Ministry of Transport. “Chile will be second only to China as a nation with the greatest quantity of electric buses in the world,” Chilean President Sebastian Pinera said at the start of November, when the government took delivery of six BMW i3 electric cars destined for ministerial use. Studies by McKinsey and Bloomberg bear his claims out – of the 385,000 electric buses on the road worldwide last year, 99 per cent are in China. The Netherlands and Britain have more than 300 electric buses each but they are spread among several cities rather than concentrated in one, as will be the case in Santiago. The Chilean capital will have 200 in total, the government said. The 100 that recently arrived were manufactured by Chinese firm BYD Electronic International Co Ltd, financed by the local subsidiary of the Italian power utility Enel X and will be operated by Metbus, a private Chilean company. Another 100 due to be added to the Santiago fleet are being financed by French energy generation firm Engie Energia Chile SA and manufactured by China’s Zhengzhou Yutong Bus Co Ltd.
Other Latin American countries are catching on. Mexico City has a booming market in electric scooters and bicycles. It also plans to introduce between 300 and 500 electric buses. Peru has slashed the import tax on electric vehicles to zero while Colombia is converting public diesel buses to unspecified, cleaner engines. If the present fleets of buses and taxis spread across 22 Latin American cities were replaced by electric vehicles today, by 2030 almost $64 billion in fuel would have been saved, and 300 million tons less of carbon dioxide equivalent would have been pumped into the air, according to a UN study. Chile offers electric vehicles exemptions from environmental tax and traffic restrictions, as well as subsidies and fast-track licensing to taxi drivers who switch to more energy efficient cars, the Ministry of Energy said. The government is also encouraging its mining industry to look at using electric lorries, with state copper miner Codelco recently announcing a pilot scheme to introduce them. But the electric vehicle industry remains nascent across Latin America, partly due to the high costs. A BMW i3 equivalent to those being tested by ministers would cost around $60,000 in Chile, prohibitively expensive for most motorists in a country where the average monthly wage is $410. Matías Asun, Greenpeace’s national director, said at the present rate of electric vehicles penetration, the government would have to take dramatic action to meet its 2050 goal. “Our question to the government is this: From what year will it no longer allow combustion engines to be sold in Chile?” he said. Tesla’s battery research group, led by renowned battery boffin Jeff Dahn, has applied for a patent on a new battery cell chemistry that the company says could deliver faster charging, longer life and lower cost. The new two-additive mixtures can be used with lithium nickel manganese cobalt (NMC) battery chemistries. NMC chemistry is used in several EV models, but Tesla uses an NCA chemistry for its vehicle battery cells. However, Tesla does use NMC in its stationary storage batteries. According to the patent application, the new technology would be useful for both EV and grid storage applications. Electrek has published both a copy of the complete patent application and a detailed technical summary. This news coupled with Tesla’s recent acquisition of Maxwell Technologies could point to forthcoming advances in battery tech for the Silicon Valley automaker. Rivian is developing vehicles and technology to inspire people to get out and explore the world. These are their stories about the things they make, the places they go and the people they meet along the way. Rivian Automotive, which plans to build the nation’s first electric pickup trucks along with SUVs in Normal, is in talks about an investment from Amazon and General Motors that would value the company at between $1 billion and $2 billion, Reuters reported Tuesday. The two companies may receive minority stakes in the Plymouth, Mich.-based startup in a deal that could be concluded and announced this month, Reuters reported, citing sources that asked not to be identified because the matter is confidential. The sources noted the talks may fail to reach a deal, Reuters reported. But the Chicago Tribune is reporting “talks are progressing” and a deal could be announced as soon as Friday, citing an unnamed source. Amazon, General Motors and Rivian did not immediately respond to requests for comment from Reuters. Normal (Illinois) Mayor Chris Koos and Mike O’Grady, interim CEO of the Bloomington-Normal Economic Development Council, did not return calls seeking comment Tuesday night. Rivian, which plans to hire as many as 1,000 employees to manufacture the “electric adventure” vehicles in the Twin Cities, unveiled a five-passenger pickup truck — the R1T — and the R1S SUV in November at the Los Angeles Auto Show. The vehicles are due in showrooms in late 2020. The pickup, starting at $61,500, is expected to travel between 250 and 400 miles on a single charge, depending on the model, and is expected to tow up to 5,000 kilograms, or more than 11,000 pounds. The SUV, starting at around $70,000, can travel up to 400 miles on a single charge, said the company, and has a towing capacity of 3,500 kilograms. The base models of each vehicle will reach 60 mph in 3 seconds, according to Rivian. Rivian, which received performance-based incentives from state and local governments, paid $16 million for the former Mitsubishi Motors North America plant on Normal’s west side in 2017. Town officials said in November that Rivian had already exceeded its benchmarks for a full property tax abatement at the plant for 2018, investing $10 million and employing 35 people. The plant had 60 workers at the time. Rivian had about 600 workers at the time across not only Normal but also facilities near Detroit, Los Angeles and San Francisco. The company was required to hire 500 locally and invest $40.5 million by the end of 2021 to receive hundreds of thousands in local tax breaks, plus a $1 million Normal grant, and plans to hire 1,000 locally over a decade to receive about $50 million in state income tax credits. Koos said in November the company may employ 500 when it reaches full production in 2020. “It will never be as populated as the Mitsubishi plant, but it’ll certainly be high production,” said Koos. Mitsubishi employed about 3,000 in Normal at its peak. The plant had 1,200 employees when it ceased production in November 2015. Tenka Energy, Inc. Building Ultra-Thin Energy Dense SuperCaps and NexGen Nano-Enabled Pouch & Cylindrical Batteries – Energy Storage Made Small and POWERFUL!